✦ DEMO - Want to see how it works? You can give it a try! ✦ Full support included with purchase! Detailed directions are included. ✦ Download either JPEG or PDF (8.5" x 11" or A4) to easily print at home, at your local Staples/OfficeMax, etc. or upload to a photo site. ✦ You print only as many as you need! 1. Choose a design. Do a demo before you purchase! Received fast. Prints great. Love that I can add my own wording when needed! Thanks again! Due to the digital nature of these files I cannot offer refunds. If you have any questions, please convo me, I would be more than happy to answer any questions you may have! All of my designs are for PERSONAL USE ONLY - NO Commerical Use. You cannot resell this file or the finished products. What is an Editable Text Printable PDF? An Editable Text Printable PDF is a digital template for you to print out at home (or a print shop). You just type your text right into the preformatted PDF files to personalize them, then print, cut and decorate! YOU MUST OPEN AND HANDLE THE FILES WITH THE LATEST VERSION OF ADOBE READER, available for free download at www.get.adobe.com/reader. How does an Editable Text Printable work? After payment, follow the link to your Etsy Download page (or go to You/Purchases & Reviews in your Etsy account) and click on the Download Now button. With your file open in Adobe Reader, just type over my sample text and save your changes. Print at home or take your files to a copy center (ex: Office Depot, Staples) on a memory stick. Make sure your copy center opens the files in the latest version of Adobe Reader. Adobe Reader PDF: After payment, follow the link to your Etsy Download page (or go to You>Purchases & Reviews in your Etsy account) and click on the Download Now button. Edit in Corjl.com: Check your email for the link. Can I edit in another language? Most of my parties, invitations and chalkboard posters are editable in English, French, Spanish, Italian, German and Portuguese. If you would like to confirm, just Convo me through my shop, or email at shop@PaperCraftParty.com. Does it work with a MAC, PC, cell phone or tablet? The PDF files are editable on both a MAC and PC using the latest version of Adobe Reader found here: www.get.adobe.com/reader. They will not work on a phone or tablet (iPad). I am in the process of converting all my listings over to edit in your browser in Corjl.com, an online editing site. Here you are able to edit on any device. However, due to the small size of cell phones, I recommend a larger device. HELP! My file isn't working! Files will only work in Adobe Reader! Make sure that you have the latest version installed or download it for FREE at www.get.adobe.com/reader. To be sure, download your file to your desktop, open Adobe Reader, then open your file from there and save. If you have already opened them in another program (not Adobe), the files may have been corrupted. Close and delete the file, download a fresh copy. Open Adobe Reader, go to File, and open the fresh copy from there. 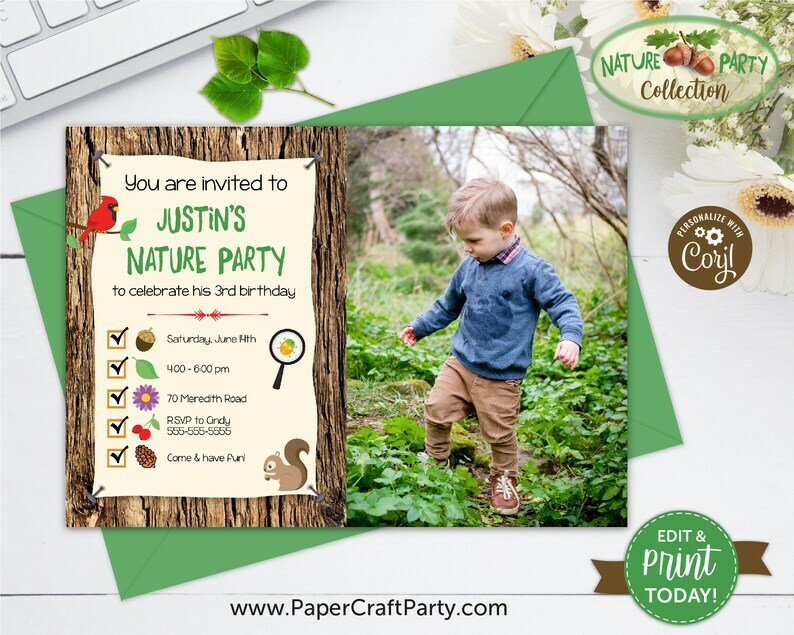 Unless otherwise stated, all printables created by Paper Craft Party are copy written for personal use only. 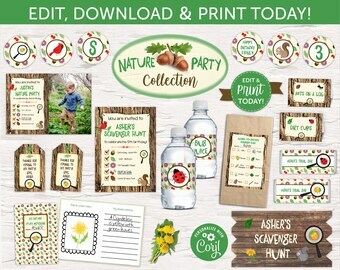 I do declare and warrant that I (Sandy), the copyright owner of these printable parties and invitations give permission to this customer, upon showing receipt of their purchase, to submit for printing commercially for their personal use. THE FILES MUST BE OPENED IN ADOBE READER. They cannot be opened in any other program. If there are further questions, please contact me at shop@PaperCraftParty.com. Please note I live in EST zone. Can I email my invitation? Yes! After editing in Corjl.com, just download a JPEG version of your invitation. You can attach it to your email. My hours are 9am - 5pm EST, and as available on weekends.